Kinect and other motion tracking controllers, love them or hate them, have successfully broken one genre of gaming from its control-based shackles and genuinely evolved the games to the next level. I am, of course, talking about dance games and the move from shifting your body about on a tiny mat to actually dancing (or at least attempting to) along with your favourite songs. Just Dance 4 is no exception to its predecessors, and if you like this kind of game then you are not likely to be disappointed by Ubisoft’s latest offering. The premise is simple, choose your song and away you go, but Just Dance 4 attacks with three prongs to try and keep you interested: single player, multiplayer and fitness. 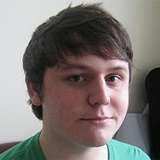 The single and multiplayer games are tied together by your profile, which persists across both modes, and as you perform the songs you will get points towards leveling up your profile. Leveling up provides an opportunity to spin a wheel for unlocking content, this could be a variation of an avatar in a song to a dance battle amongst many others. Songs also have a difficulty rating (out of three), so the moves to Rick Astley’s ‘Never Gonna Give You Up’ were significantly less complex than that of the Timewarp or Pink’s ‘So What’. As with most current generation dance games, you follow the avatar on screen and a small preview of moves to come shuffle along in the bottom right. There are sometimes multiple avatars on screen, taking the Timewarp as an example where there are four, and so it can be easy to lose sight of who you are supposed to be following (despite a small halo effect to match your player colour), especially when some dance moves require interchanging positions. As if trying to perfect the song wasn’t enough drive, each song has a number of ‘quests’ associated with it. These range from getting five stars to performing a perfect move at a point in the song and so on. Whilst definitely not a game-changer in themselves, it adds an extra layer to the game that will no doubt drive many completionists insane – particularly when a number of them require multiple players to be involved. Naturally, completing quests also adds experience to your profile, helping you to level up slightly quicker. After finishing your routine then there is the video recap of your performance. Although skippable, I often found myself using it to catch a breather between tracks and allowing it to whir away for a minute or so before showing me a crudely spliced selection of Kinect captured video. Any deranged hopes or belief that you were truly pulling off all of those moves in style are quickly realised and after you’ve stopped laughing at yourself then it can be saved and shared with the masses. I guess that anyone who takes the game more seriously than they should could also critique their own performances and use them for self-improvement – whatever floats your boat. Also on offer are dance battles, which pit two songs against each other in a mashup format. Aping a traditional fighter game like Tekken or Streetfighter, there is a health display for each player and every completed dance move results in a ‘hit’ to the enemy. Taking place as a best of three rounds, this mode can be quite fun, even when playing the AI, but definitely best when playing a mate (although in order to do you will need plenty of space – there is a lot of moving about and exchanging places). 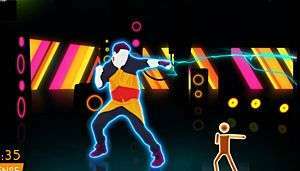 Just Dance 4 also has a fitness mode that will put your body through its paces. The mode has a selection of choices from ‘cheerleaders bootcamp’ to ‘electro body combat’, with each one offering a certain selection of music and a dance regimen to match. This mode provides a selection of session timings from ten minutes to a whopping 45 minute session. Sensibly this mode also has warm up and cooldown routines that book-end the experience. As is expected on this type of mode, a profile tracks your calorie burning and progress, however the fitness profile is separate to that of the main game’s modes. Boasting over 40 tracks straight out of the box with more soon to follow via DLC, Just Dance 4 manages to cover off current pop favourites such as Rhianna, Nicki Minaj and balance them with older and/or slightly out there material like 2Unlimited, Rick Astley and Europe to name but a few. Current DLC options are limited but with alternative dances available via unlocks in the game and the mashup/battles then there is plenty to work through while additional content is worked upon. The control methods are entirely based upon Kinect and one of the weirder ones I’ve had to contend with. Menu selections are chosen by prodding rather than the more standard method of hovering over an option. There are some issues with Kinect picking up commands whereby pulling your arm back and then jabbing at the screen means it can miss your intended target or not register it at all. This is exacerbated by the method of song selection which acts like a wheel that is spun to get to the song of your choice. There are also some points where the moves in the game come close to causing Kinect to pause/cancel (usually done by slightly holding your left arm out to the side) and the distraction of the pop-up icon for that can disrupt the flow. Overall though, the Kinect detection is very good and although I’ve only managed to five star one song so far, I think that is my ability rather than the game. Certainly, with time to memorise the moves and better definition in my movements I imagine the many ‘missed’ moves would diminish. That said, there are times when I think I am perfectly matching, yet the game registers a failed move, in this regard it needs the Dance Central style slow-down and step-by-step walkthrough of the moves – something strangely lacking from Just Dance 4. Other times flailing wildly can cause complex moves to be registered which is where sometimes you have to wonder quite what goes on under the hood of these games. 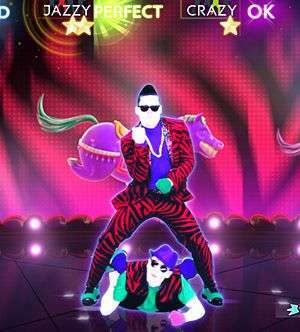 Ubisoft brings another good dance-based game to the table with Just Dance 4. Arguably, like what became of the Guitar Hero franchise, there comes a point where the innovation between games is minimal and, instead, releasing the new tracks as DLC for previous iterations would likely have been more suitable. Certainly, there seems to be slightly more on offer than previous titles in terms of gameplay, but with a song set so varied that many people would probably enjoy/know less than half of the tracks I can’t see it being a ‘must purchase’ unless new or coming back to this genre in the current generation. Easy to get into and great for anyone with kids or a penchant for attempting fitness without having to leave the house. It happily stands next to Dance Central and is aimed more at the fun side of dancing than something you’d study to break out in the local clubs. There is no denying that Just Dance 4 does exactly what it sets out to do and that you’ll enjoy playing it – just remember to have a towel and glass of water handy… you will end up tired and sweating! Is it really bad that what I mostly got from this was “I would love to see a video of you trying to five star Gangnam Style or Rick Astley”?